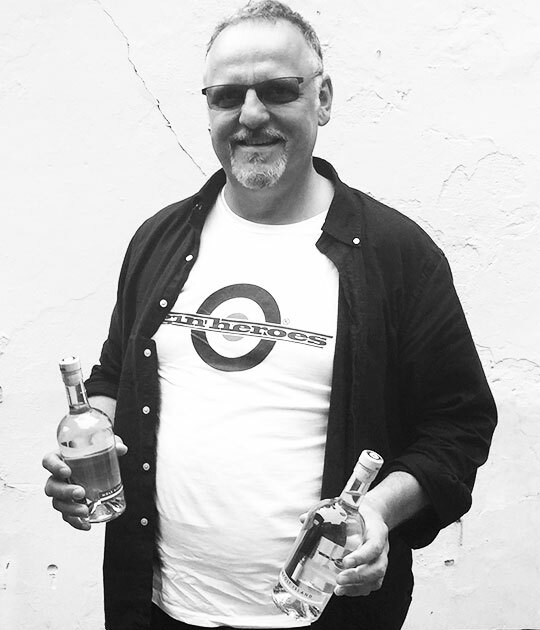 The founder of GIN HEROES is Søren Krarup Hansen. He is an engineer and works as an advisor on large-scale construction projects. He missed a detailed craft in his life. Something to immerse himself in with a very specific outcome; a product. So he started experimenting with gin as a hobby. But his passion for turning handpicked natural ingredients into refined products has sparked a bunch of new ideas. It has quickly become more than a hobby. The business is growing, so the founder has invited his three sons to join in. And now GIN HEROES is a true family business with big ideas and a short distance from vision to cocktail. © 2017 The official GIN HERO website. Website by ivimedia.dk.